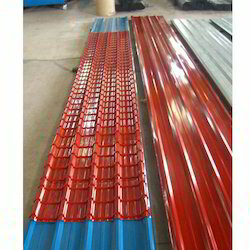 Manufacturer & Supplier of Decking Sheets & Decking Sheet. Our product range also comprises of Buildex Self Drilling Screws, Roofing Sheets. We are offering the high-quality collection of Decking Sheet to our valuable customers. These are constituted by a profiled sheet onto which a layer of concrete is poured. These sheets offered by us have tensile steel for composite slab construction which cuts down on slab thickness and the dead weight of buildings. 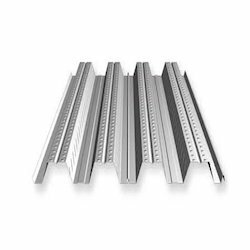 In order to keep the changing trends of the industry, we are offering a wide assortment of SS Decking Sheet. This sheet is bonded to the concrete by means of moldings on the sheet which stop the concrete from slipping horizontally and detaching vertically. Also, these products are used in various office buildings, mezzanine floors in industrial buildings & warehouses. Tensile steel for composite slab construction that cuts down on slab thickness and the dead weight of buildings. No separate frame work required for slab casting. We are engaged in presenting an extensive range of Roof Deck Sheet to our clients. These products are widely installed in cement industry, railway stations, and commercial buildings. These sheets can hold the great amount of weight with ease. Together with this, we make these sheets available in various capacities and colors. We are prominent names in the industry in offering a wide range of Steel Decking Sheet. Owing to their sturdiness, requires minimum maintenance, lightweight, weather resistance, and dimensional accuracy, these products are highly demanded in the market. Also, these are easy to fix using studs, screws, and clips.